SOLOTHURN, Switzerland – The bike market in Switzerland looks healthy: in 2007 almost 5% more bikes were sold compared to a year earlier. The growth in sales was for the most part due to cheap bicycles. 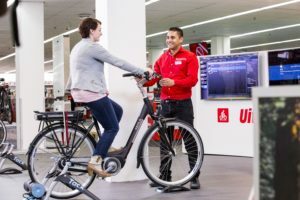 But at the same time the dealer channel was able to maintain its strong position, in particular thanks to the boom in e-Bikes, whose sales are gaining real market share. The Swiss bike sector can look back on satisfactory 2007 sales. According to the latest figures from industry association Velosuisse, 14,875 more bikes were sold last year, an increase of 4.9% on 2006. The growth pushed total Swiss sales past the 300,000 mark. 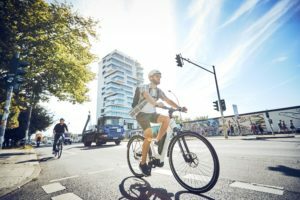 However, the sales increase can mainly be attributed to discounters, who are more and more active in the Swiss bike market and can be tracked by import statistics. The figures for the import of bicycles into Switzerland, which can be traced by country of origin, point to the conclusion that cheap bikes are becoming a strong force in Switzerland. Until 2005, Taiwan was the number one bike supplier to Switzerland. But in 2006 the number one position was taken over by China. And in 2007 China exported already nearly twice as many bikes as Taiwan to Switzerland (131,000 versus 72,000). The value of the imported bikes show a completely different development as the number of units; The average value of a bike imported from China dropped to CHF 139 (€ 86) while the value of bikes imported from Taiwan is increasing; averaging CHF 511 (€ 315) in 2007. The price evolution seems to be stongly influenced by the Swiss fiscal treatment of bike imports. Contrary to the anti-dumping duties of the European Union, bicycles from the ’developing’ country of China are in Switzerland completely duty free! 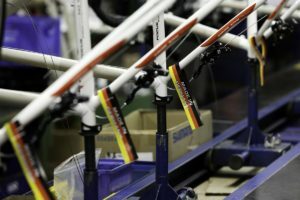 According to Velosuisse, the 60,000 cheap Made-in-China bikes which were dumped on the market by discounters like Conforama, Jumbo, Otto’s starting at CHF 189 (€ 117), nowadays account for a bigger market share than the one from the ’serious’ Sporting goods retail chains like Athleticum, Coop, Ochsner und SportXX (Migros). With that a third strong ’force’ has emerged and it would be high time that these ’Throw-away’ bikes got their own category. What also needs to be charted under their own category are the dealer– direct suppliers like Simpel, Stöckli or Thömus. They contributed to the fact that the dealer channel was able to increase its market share in 2007. After a drop in 2006, last year an increase of 0.2% in unit sales was recorded for the dealer channel while in value the increase was even higher at 0.3%. The total market share for the dealer channel in Switzerland stood in 2007 at a huge 85.7%! The average sales price of a bike at the dealer in 2007 was CHF 1,488 (€ 918); up CHF 15 (€ 9) from 2006. Despite the fact that the average value of a bike sold at the dealer stood in 2007 at world record levels; dealers need more to commercially survive. This has all to do with the fact that the average dealer in Swizerland sells less than 200 new bikes per year. In order to survive they desperately need their workshop business as well as P&A sales. This is confirmed by the latest figure from Velosuisse; with a CHF 360 million (€ 220 mn) turnover, Service/Spare Parts and Accessories account for almost the same earnings at the average Swiss dealer as his sales of new bicycles. As in other European countries, the Swiss bike market is getting a much-needed boost from booming pedelec sales. 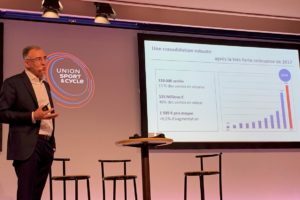 With 5,825 pedelcs and e-Bikes sold, a sales increase of 83% was recorded last year. 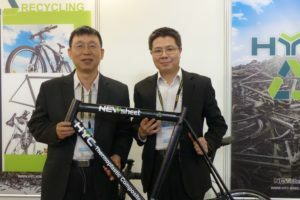 Dealers who have been specializing in e-Bikes over the last few years can look forward to a bright future.